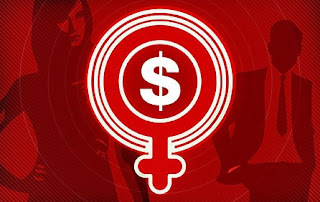 Despite legislation from the Equal Pay Act of 1963 up to the Lilly Ledbetter Fair Pay Act of 2009, it’s still a fact that women earn less money than men. Nationally, a woman earns 77 cents for every dollar a man earns. The “wage gap” will be the focus of a pay equity event hosted by the Oakland, Wayne and Macomb chapters of the National Organization for Women, along with Michigan NOW. The free event will take place tonight, May 19 from 6:30 – 9 p.m. at AJ’s Music Café at 240 West Nine Mile Road in Ferndale. Metered parking is available behind the café. Speakers will explore the laws related to pay equity and some reasons why women earn less than men. The program will also feature skits and advice on how to negotiate equitable pay. Mary Pollock is a retired state employee from the civil service commission who will speak at the event. During her time with the state, Pollock was instrumental in a pay equity study that resulted in millions of dollars in pay adjustments for state workers. Pollock says the Ledbetter law has “woke up” the pay equity issue for mainstream women’s organizations resulting in events such as a national Pay Equity Day. Legislation has played a big role in advancing pay equity, but there is still more to be done. Loopholes that weaken the laws need to be closed while penalties under the laws need to be increased, Pollack said. Pollock also says workers need tools that enable them to find out vital information such as salary figures for jobs with the same skills, responsibilities and required training. Although pay equity is a complex issue, Pollock says women’s career choices factor into the equation, but the reasons behind those choices uncover the deeper social issue of gender conditioning. She says women are still steered toward traditional, lower-paying fields by educators and parents.